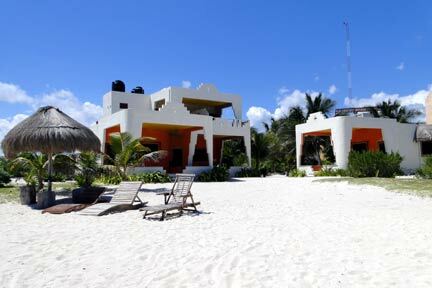 Mayan Beach Garden has three beach level rooms, two Caribbean Balcony rooms and two Ocean view Rooms. Every single room is beautiful with great views. Because many people like to take a good look at the rooms before they decide where to vacation, we've tried to include photos so that you can see the layout. 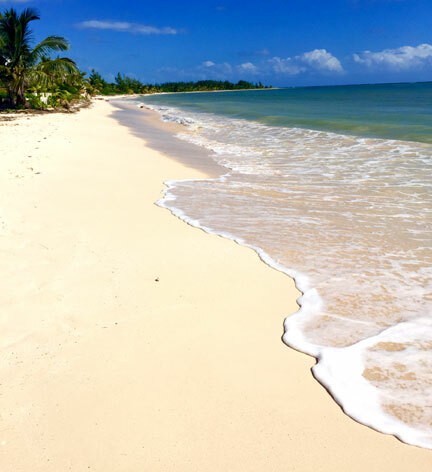 Most people say our pictures don't do it justice - we hope you feel the same way once you get here. The turquoise of the caribbean welcomes you from your cabana. 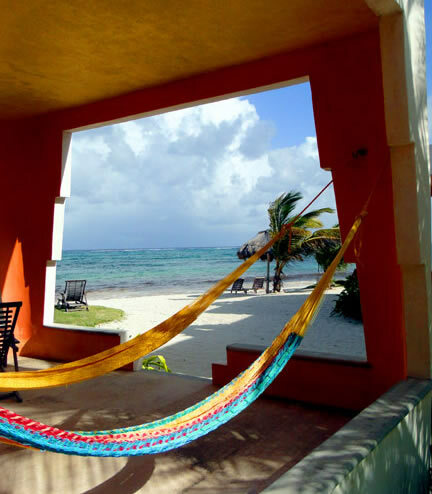 There are two ways to lay in a hammock, the Mayan way and the "other" way. 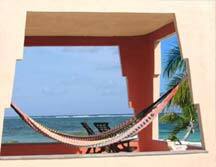 Most of us lay in a hammock lengthwise, but Mayans lay in a hammock diagonal which allows them to lay straight. However you decide to do it, its a great way to pass the day. 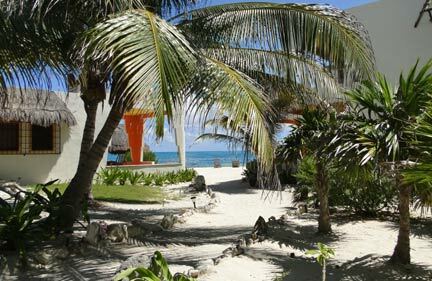 Coral lined paths (remains of 2007's Hurricane Dean) welcome you to Mayan Beach Garden beachfront rooms. Each room has its own private deck -- perfect for an afternoon snooze. 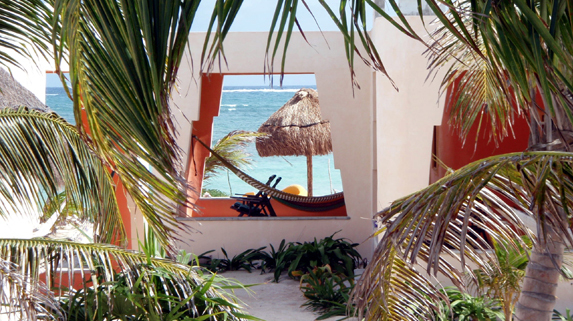 Palapa awnings protect windows from the afternoon sun. 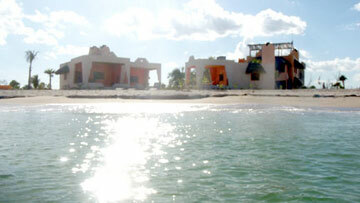 Looking to the Mayan Beach Garden restaurant and Beach-view rooms. 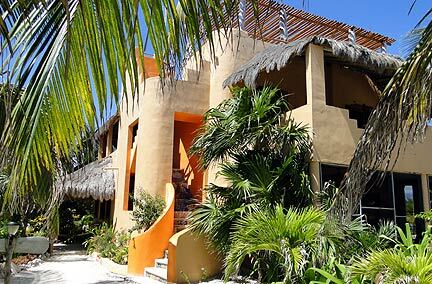 The 2nd story palapa covered deck includes hammock and lounge chairs. 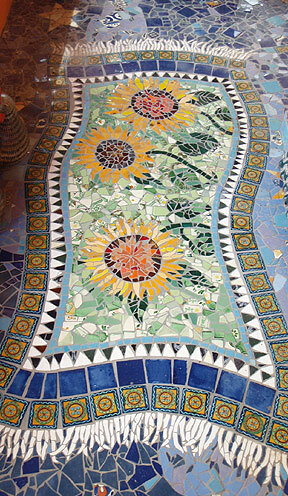 Each room has its own private entry and mosaic artwork. By walking up to the rooftop observatory, you can see out into the Caribbean or have a quiet moment alone at dusk as you watch the sunset over the jungle. Mayan Beach Garden from the water. This picture was taken before all of our trees grew up . Today, you wouldn't be able to see all of these buildings from the water for the Palm trees. . Rooms also come equipped with wooden deck chairs made from local woods -- leave them under the shade of your spacious deck or move them out into the sun or under the stars come nightfall. this is the view from the deck of Beachfront King Cabana..
Large decks look out onto the caribbean. The concrete decks are actually more ecological than grass and wood because they don't use trees from an ever shrinking jungle and they collect rain water instead of letting it run off into the sand. The cabanas are self-sufficient using rain water that flows into large cisterns under the rooms and battery powered solar lights and fans. While not every day is as beautiful as it was early in December of 2015, you can see the long stretch of walkable beach. 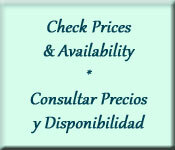 In this case, the camera is pointed to the north, towards Punta Placer where there is fabulous snorkeling. 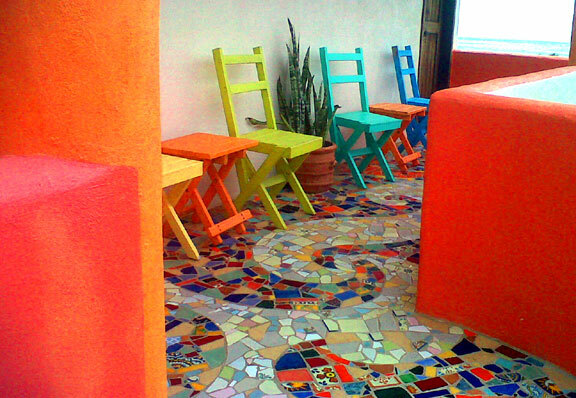 A Mosaic carpet with sunflowers welcomes the guests of the Palenque Sea View Room. 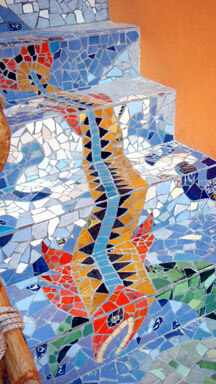 The entire private patio is a colorful talavera tile mosaic and the stairs climbing up to the second story room and on up to the roof top has mosaic covered stairs, like this whimsical fish. Entrance balcony to Uxmal, a 2nd story Caribbean Balcony Room.